We are all called to play our part in building God’s Kingdom of peace and justice. The Commission works to encourage and support individuals and groups to take that call to heart and respond in practical ways. Members of St John’s parish and Clifton Justice & Peace Commission came together to celebrate God’s glorious gift of the Amazon and its defenders. For the first time, Pope Francis has called a synod for a specific territory: the Amazon. Next October, Bishops from across the countries of the Amazon region will meet in Rome on the theme: ‘Amazonia: New Paths for the Church & for an Integral Ecology’. The meeting in Bath included conversations via SKYPE with Fr Leo Dolan, a priest of Clifton Diocese who has worked in Amazonia for more than 35 years, an indigenous speaker and Archbishop Roque of Porto Velho, and Acre, President of the Indigenous Missionary Council. preparation for the Synod on the Amazons to be held in Rome this 6th to 27th October 2019? Phil Kingston is a parishioner of Holy Family, Patchway and a founder-member of Grandparents for a Safe Earth . Writing in 2014, Phil described why the group had been set up: ‘We began meeting about 18 months ago, sharing the common concern of what we humans are doing to the Earth. Our focus is particularly upon Climate Change because it is a world-wide issue, with enormous risks to the safety and well-being of future generations, the poorest peoples and many other life-forms. The more we have learned, the more we have become disturbed about what is happening and about the inadequate response of Government, business and media; even though the evidence from the UN, the World Bank and the International Energy Agency is crystal-clear that climate change is caused by the overuse of fossil-fuels. Christi sends resource materials to every parish in the country to help them mark and celebrate the day. If it is not mentioned in your parish could you ask why and offer to help use the resources? “Political responsibility belongs to every citizen, and in particular to those who have received the mandate to protect and govern. This mission consists in safeguarding the law and encouraging dialogue between the actors of society, between generations and between cultures. There is no peace without mutual trust. And trust has as its first condition respect for the word given. Political commitment – which is one of the highest expressions of charity – brings concern for the future of life and the planet” from Vatican Press Statement. 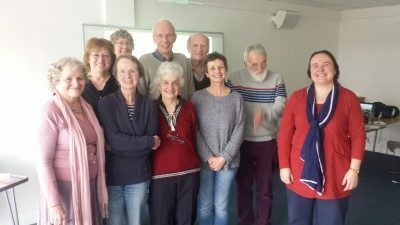 This year’s Conference in Derbyshire took the theme, ‘In the shelter of each other the people live’ and explored building a Church and a society with the marginalised, the excluded and the most vulnerable at its heart. Reports of the Conference including a flavour of the issues covered by the speakers and range of workshops, are available at https://www.justice-and-peace.org.uk/category/conference-2018/ . You can view videos of the speakers recorded by Stephen Cooke of Liverpool Justice and Peace Commission by going to https://www.youtube.com/watch?v=7kkyXpch4sg&list=PL5UUtVasGFc86xfJa4vp-uhh6jSE3bhq5 . Mary Colwell has written an article about Curlews, In December 2015, the Eurasian curlew, our curlew, was put onto the red list of endangered species. 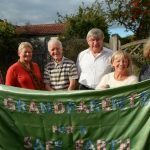 The Sheila McKechnie Foundation Campaigner Awards 2017 include Phil Kingston (pictured third from the left) for his work in setting up Grandparents for a Safer Earth. 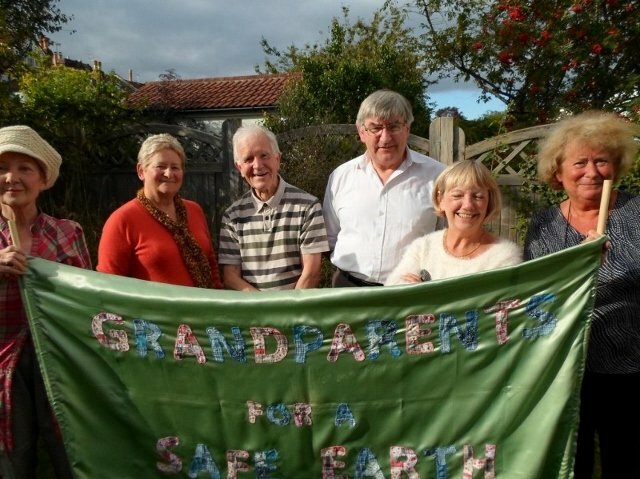 This organisation seeks to mobilise grandparents and elders to take direct action to raise awareness of the risks of global warming and climate change. Laudato Si Pope Francis’ encyclical on Care of our Common Home. For a copy and summary of the document click here. 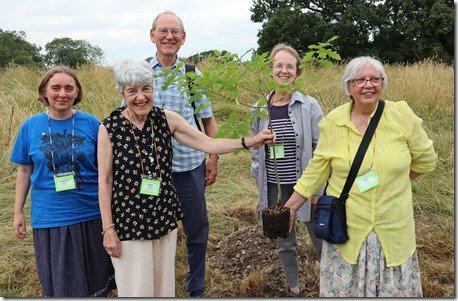 A climate-change awareness website has been set up by a group of parishioners at St Charles Borromeo in Birmingham, ‘inspired by the letter to everyone – a CAFOD video about care for our common home by Pope Francis, Laudato Si.’ The website includes a prayer page which is overseen by a Benedictine oblate. 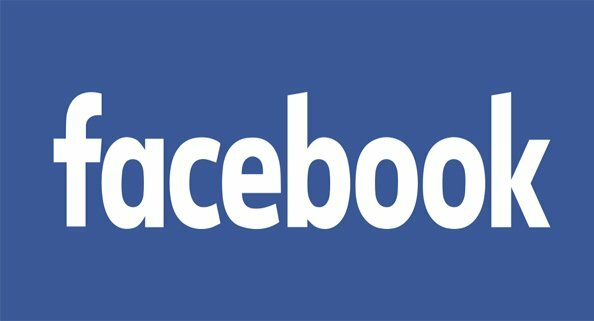 What’s happening in your parish/area? To view Ellen Teague’s power point images click here and for Mary Colwell’s click here.